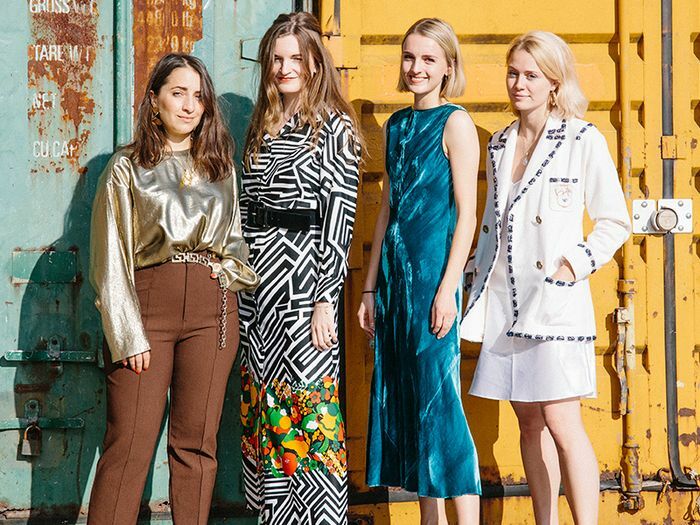 For all the posturing, peacocking and attention-grabbing outfits each fashion month is now saturated with, I would forgive you for feeling a little fatigued by the spectacle of it all. But every now and then (in between the costume changes and the wild street snapping), a beacon of personal style shines brightly, mesmerising you with looks that feel fresh and new but also replicable and desirable. One such woman really stood out as this rare breed during the most recent round of shows in New York, London, Milan and Paris was Italian stylist Erika Boldrin. When I shared my new obsession with her to the Who What Wear team, it turned out we were all on the same page. Erika is not a newcomer to the circuit. She has been part of that Milanese cool gang for some time and has always been a sharp dresser the street style photographers enjoy shooting. But there was something so quietly confident and alluring about her 2019 wardrobe that I found myself analysing her every move. Was it her mermaid-long hair? The subdued but not bland colour palette? The "old" Celine boots? The outside tailoring? The sheer effortlessness of it all? The new Paco Rabanne bag? I was paying attention but not one factor could take ownership of Erika's appeal. "Elegant, minimal and feminine" is how Erika describes her personal style, informing me that her favourite combination is the ultra-simple blazer-and-jeans formula so many of us rely on. Even when her looks become more advanced, she has some advice on knowing when your outfit is ready to go: "Not overdoing it, or making sure you have the right accessories." As for that hair? "I don't use chemical products—only bio and vegan. I stopped to use hair straighteners and my hair became more healthy and strong. I use a lot of natural oils," she says. So now you can be inspired head-to-toe. Style Notes: Erika told me this was her favourite look throughout the month-long extravaganza of runways shows across the globe. Combining a sage Petar Petrov blazer with a pale pink Alberta Ferretti jumpsuit, this was an ode to pastels but in a less frou-frou way than you might imagine. Style Notes: Bringing a dash of '80s style to the streets of 2019, Erika has worn these retro-look Givenchy boots with many different looks, but tights and a Balenciaga blazer-dress has to be the ultimate throwback. Style Notes: The boots again, only this time with an altogether very different ensemble. Note how Erika reconfigures a fancy, shiny pleated skirt with an oversized jacket. Style Notes: Another day, another big blazer. This time paired with a whimsical polka-dot dress and cowboy boots. A great spring outfit idea if ever we saw one, and a relaxed way of introducing Erika's top 2019 trend—pastels—to your winter wardrobe. Style Notes: Even the smallest addition can turn a plain outfit into something more exciting. See the tasselled evening bag? Style Notes: You'll notice throughout this gallery that Erika often uses white shoes to punctuate her looks. They work well again here, peeking out from underneath a tailored suit. Style Notes: You can nod to bohemian and still look office-appropriate. 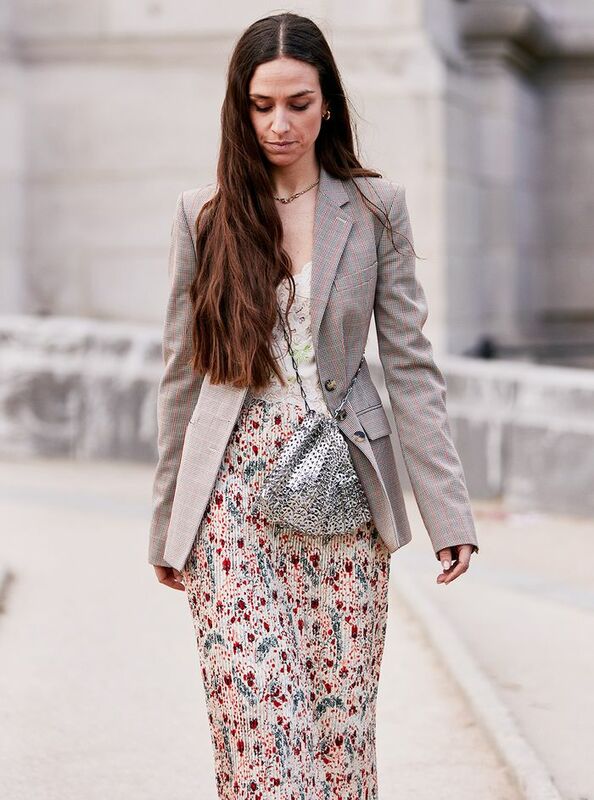 See those hippy sleeves set against tailoring (and, of course, Erika is part of the Chloé C bag club). Style Notes: Erika's favourite outfit was the pink jumpsuit, but this was mine: a romantic nod to the prairie-dress trend made city-ready with a blazer, ankle boots and Paco Rabanne's signature metal link bag. Style Notes: Erika tells me that she pre-plans her outfits each day, which gives the green light to all of us to jot down and copy this entire casual-cool look in the future. Style Notes: Who knew a green mock-croc bag and white slouchy boots could be such versatile accessories? Erika proves you don't have to invest in boring staples. Style Notes: Another easy-to-throw-on jumpsuit, this time courtesy of Parisian boutique the Frankie Shop. This all-in-one was a cult item of fashion month, but Erika wore hers in an unexpected way with embellished platform heels. Style Notes: Looking for a new way to wow in the office? Then this is it: printed trousers, a loose-fit blazer, tonal sweater and tan crossbody bag (this nice little one is from Burberry). Style Notes: How to smarten up a cosy jumper in one easy move? Add white trousers. Style Notes: This split-front pant style has already been championed by Victoria Beckham. Erika gives the cut a sportier finish with a padded bomber jacket. 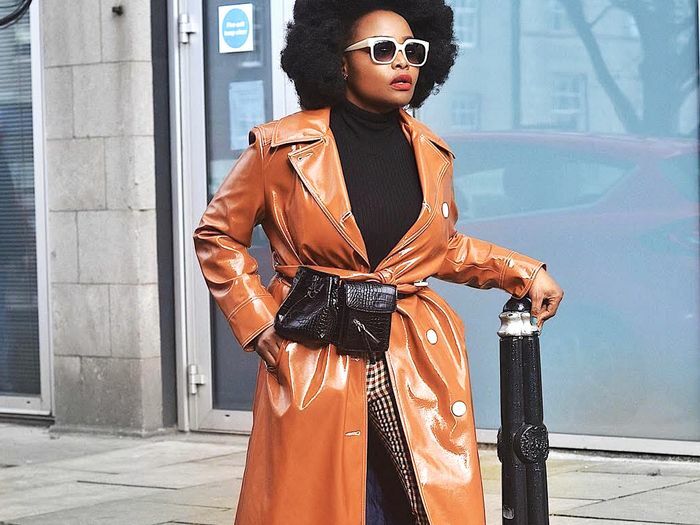 Style Notes: Every wardrobe deserves a decent trench coat, a statement pair of sunglasses and some classic black high heels. They work harmoniously together here. Next up, the Italian-girl capsule wardrobe we've noticed.